Uplifting and Inspiring with essences of Sandalwood, Neroli, Lemons and Bergamot. 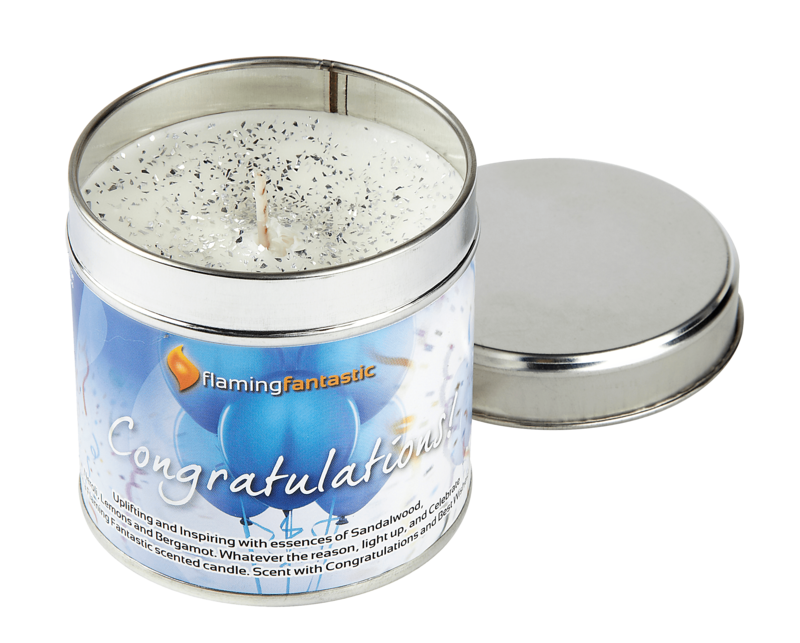 Whatever the reason, light up, and Celebrate with a Flaming Fantastic scented candle. Scent with Congratulations and Best Wishes!